I may receive a commission if you make a purchase through links in this post. These bible verses for depression have changed my life. In this post, I want to help show you how to believe what God says and hide His Word in your heart so you can win against depression. 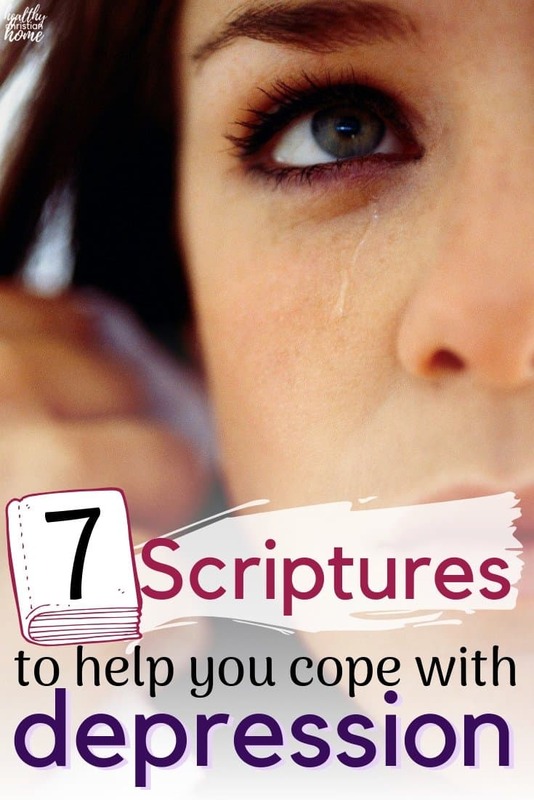 These bible verses for depression are the perfect tool to help you cope in the darkest times. But before I delve into all this, let me give you a little background. I was that person – the one who condescendingly said about people dealing with depression, “They just need to get over it.” It is so very true that pride goes before a fall. Without going into too much detail, let’s just say that soon thereafter, I would battle this exact difficulty for several years. While I knew the bible verses for depression mentioned below, I had not taken them into my heart – but I’m learning to do just that. I’ve been hesitant to write this post. Why? Because of my selfish side – the side that wants you to think I am perfect and have it all together. Why did I decide to write it? Because I have something I can offer those struggling with the same problem. To those readers dealing with depression and/or anxiety, I want to give you hope! There is so much hope, more than you think possible. This post is not meant to be a sob story about what I went through. In fact, I don’t want that to be the focus at all! I want the focus to be on the light, the light that is most assuredly at the end of the dark tunnel. Hope was realized in my life when I finally decided not to listen to anything except what God tells me in His Word. In the midst of this trial, keeping God’s word in my heart gave me hope, no matter how long the road seemed. That’s why these bible verses for depression are so crucial! Your thoughts and feelings may be chaotic. Satan constantly puts lies in your mind to trick you. Depression is a humbling problem to admit – there is so much stigma surrounding it. But that’s why we need to talk about the mind, especially in the Church, because we (God’s people) have the ultimate encouragement for those who are hurting! What is this encouragement? The Word of God! Our number one authority for how to live and what to think comes from God alone. An important side note: Many times, depression is a signal from your body that something is wrong physically. Keeping your mental focus strong with these Bible verses is crucial, but you also need to make sure your body is getting everything it needs to help prevent chemical imbalances. I’m an avid believer that you should get your blood levels tested to see if anything is awry nutritionally. God made our brains to need specific nutrients in order to function! Low iron was a major factor in my postpartum depression, and other deficiencies like vitamin B, D and more can also play a role. Here’s a really helpful post from CureJoy on 10 Nutritional Deficiencies that Can Cause Depression. Get yourself checked out! 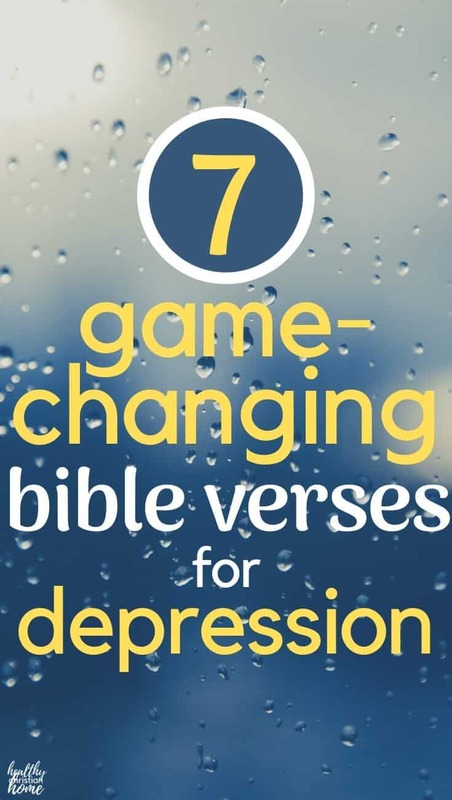 Below are my top 7 game-changing Bible verses for depression. These are the verses I clung to in the midst of the storm, and I pray they bring comfort to your heart as well. 1. My God will supply every need of yours according to his riches in glory in Christ Jesus. (Philippians 4:19, ESV) God says He will meet all (not just some) of our needs. That includes our mental needs as well. The things you are worrying about in the future? They are taken care of. That’s a promise! (Lamentations 3:22-24) Please go back and read the beginning of the chapter. The writer is in despair and feels like there is no hope, until he remembers the above verse. You may feel awful, but your feelings are not the truth. God IS faithful and he IS enough to get us through the hardest of times. 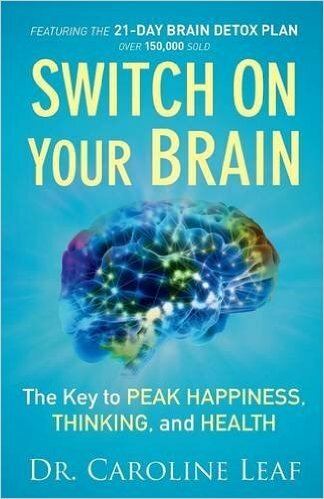 …every morning when you wake up, new baby nerve cells have been born while you were sleeping that are there at your disposal to be used in tearing down toxic thoughts and rebuilding healthy thoughts. His mercies are literally new every morning – we have new brain cells to use for that day! Our brain is continually being renewed. 3. I can do all things through Christ who strengthens me. (Philippians 4:13) This is a verse that most people can quote by heart, but do you truly know it? You are equal to any task or obstacle placed in your path – not through your own strength, but through the strength of Christ. 4. My flesh and my heart may fail, but God is the strength of my heart and my portion forever. (Psalm 73:26) Sometimes we seriously feel like we have no strength left, and that is okay. When our body is exhausted and our mind is frazzled, we do not give up – because God’s strength never runs out, and His provisions are unending. 5. No temptation has overtaken you that is not common to man. God is faithful, and he will not let you be tempted beyond your ability, but with the temptation he will also provide the way of escape, that you may be able to endure it. (1 Corinthians 10:13) When you’re depressed, it is tempting to believe that “it’s just too hard.” No, it’s not. God has promised He will not give you more than you are able to handle, and it’s impossible for Him to lie. If you are brought to it, God will bring you through it. (2 Peter 1:3 NKJV) Feel like you lack something? This verse says He has already given it to you. Everything. To live your life and to live it in a godly fashion. How? Through the knowledge of Him (Jesus). In the Bible, you will find everything you need to face any challenge. 7. God has not given us a spirit of fear, but of power and of love and of a sound mind. (2 Timothy 1:7 NKJV) Being fearful does not come naturally – it is learned. This verse says that the spirit God has given us is powerful, full of love for others and yourself, with a sound (stable) mind. He made you perfectly – He did not create a weakling. You (and God) got this! The challenge: don’t just read these verses. Meditate on them continually (think about them over and over, all day long). Pick one per day – or find another one that resonates with you. It will take time, but you will start to believe them and feel them in the core of your being. IF YOU FOUND THIS POST HELPFUL, PLEASE SHARE IT WITH SOMEONE YOU LOVE! 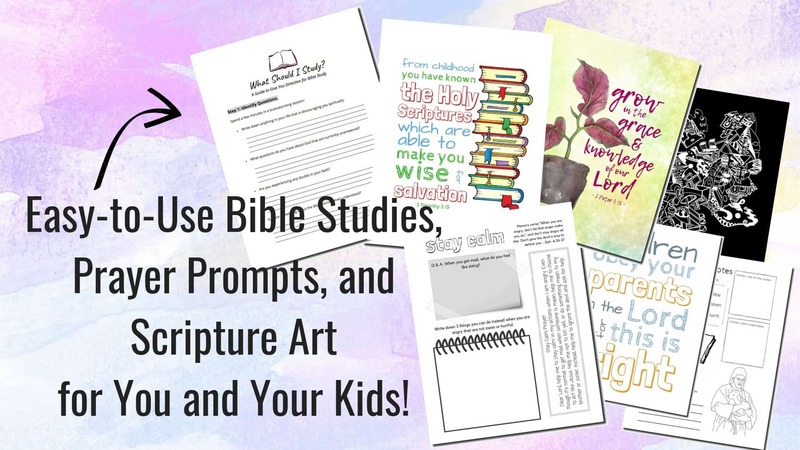 WHICH BIBLE VERSES HELP YOU RENEW YOUR MIND? MEDICAL DISCLAIMER: This content is not intended to diagnose or treat any disease, or as a substitute for medical advice. Please consult with your advising physician before starting any treatment for a medical condition. Healthy Christian Home shall not be held liable or responsible for any misunderstanding or misuse of the information contained on this site or for any loss, damage, or injury caused or alleged to be caused directly or indirectly by any treatment, action, or application of any advice given on this site. Read more on my disclosure policy. Alycia, thank you for your wonderful words. I am so grateful they encouraged your spirit. Prayers! Beautiful. Thank you for sharing! Resting in God and relying on him changes so much in my heart when I feel anxious or stressed. These are very uplifting for everyone! Excellent post! Love #7 Reminds me of the Building 429 song Impossible! I know this post is old, but I just wanted to thank you for writing it. Years later, I ran across it in a pretty dark time in life. I’m trying so hard to turn over to the Lord. 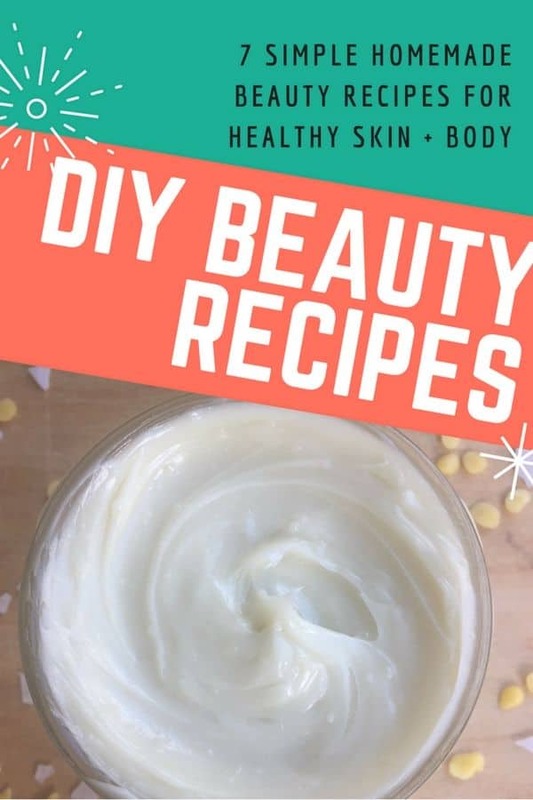 Get your free copy of 7 incredibly nourishing DIY beauty recipes! 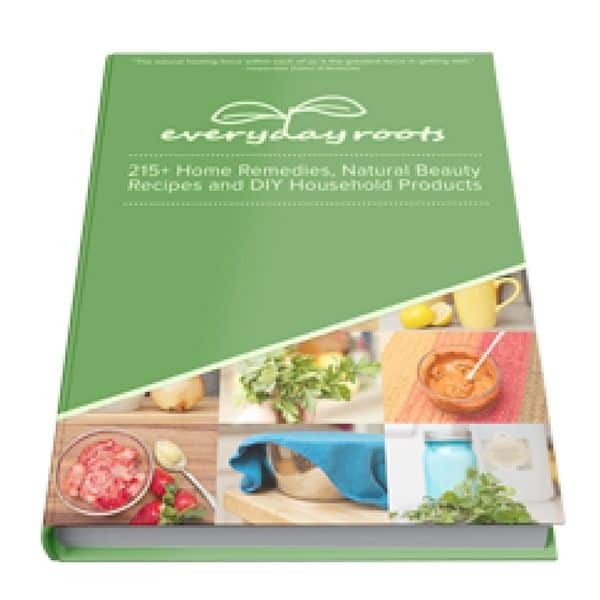 If you love DIY recipes and home remedies, you'll love The Everyday Roots Book! 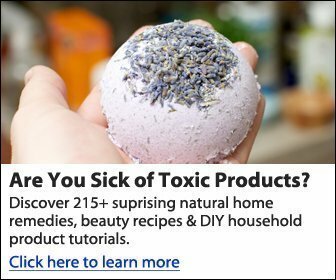 It's over 400 pages of the best natural living ideas to ditch the chemicals and clean up your home and life. Content on this site contains Amazon and other affiliate links. Read more here. Healthy Christian Home is a participant in the Amazon Services LLC Associates Program, an affiliate advertising program designed to provide a means for sites to earn advertising fees by advertising and linking to amazon.com.